Hide Quicken Legal Business Pro 2017 Coming Soon: The all new 2017 version of Quicken Legal Business Pro is expected to be released in September, 2016. 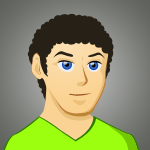 We will be updating the details here on Software Voucher once it’s released. Otherwise, you’ll find all of the current deals on the 2016 versions down below. Now on Sale at Nolo.com. 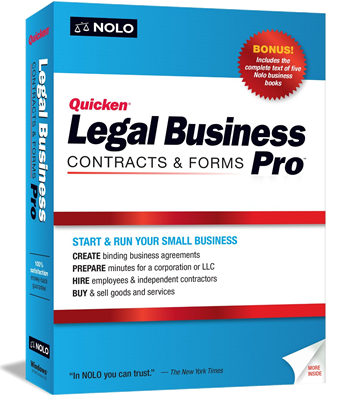 Nolo just updated Legal Business Pro for 2016 is offering a $10.00 instant savings on the boxed or download versions when you buy it directly from their official online store. With this offer, there is no need to enter coupon code as the discount will be automatically applied when you follow the above link. This offer is only valid on purchases made at the official Nolo Store at nolo.com. Extra shipping charges may apply if you choose the boxed CD disk version. Find it on sale at Amazon. Find select versions of Quicken Legal Business Pro on sale at Amazon for up to 20% off the list price – That drops the price down to as low as $39.99 when it’s on sale. Because Amazon sells the download version, you will also save on the shipping costs (plus you’re being good for the environment by avoiding unnecessary packaging waste). Right after you complete your order, you’ll be able to download and install your purchase (it’s 51MB, so about a 4 minute download on a cable/dsl internet connection). Sale prices can vary so see Amazon for full offer details and what’s available today. The sale price may vary so see site for details. Free Legal Advice from Nolo. Although Nolo doesn’t offer a free trial download of Quicken Legal Business Pro (you can request for a full refund if you’re not satisfied with your purchase) they do have an entire resource center of free legal advice to supplement their Legal Business Pro software. From bankruptcy law to accident to business formations, you can find a wealth of information to help in your specific legal situation. Best of all, many of the articles have free podcasts available and links the legal forms. Are there any student or teacher discounts on Quicken Legal Business Pro 2016? There are lots of software manufactures that offer special student pricing, but Quicken is not one of them. There are no available student or teacher discounts. However, pricing is aggressive among retailers and you’re sure to get a really good deal at just about anytime you choose to grab a copy. If you’re interested in purchasing other software programs and want to take advantage of up to 70% off student pricing, head on over to our student discount page for your entire list of options and deals. When can we expect to see we see Quicken Legal Business Pro 2018? Be on the lookout for all the new Quicken Legal Business Pro 2018 to be released this coming August (although we're not expecting any dramatic changes in the next version). We will be updating this page with more details as soon as they become available. Is their a free trial version available to test prior to purchase? No, unfortunately there is no Quicken Legal Business Pro 2017 free trial version available. If you are not sure if this software is right for your needs, then we recommend that you purchase from a reseller that accepts full returns on opened software. Deals change all the time and although we test and modify these offers on a regular basis, some deals may expire before we are able to pull them down. If this happens to you or you see an error when trying to order Legal Business Pro, we recommend that you go with the next best discount posted on this page and report the expired links to us. Thanks!